Apple has a torrid time of it lately, especially as 2017 comes to an end. 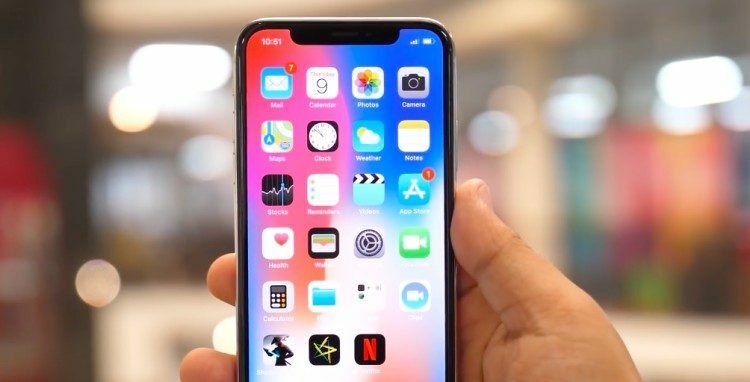 From the patent battle with Qualcomm, to the highly controversial decision to slow down older iPhones due to battery aging to the mixed reaction to its latest innovation, iPhone X. 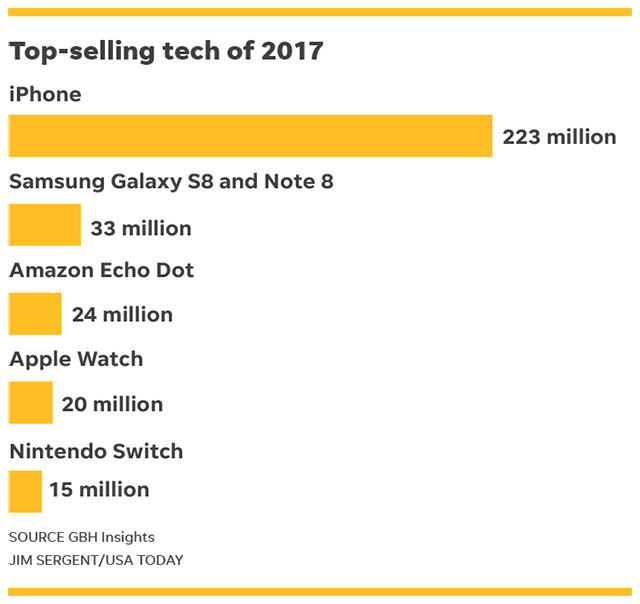 But when it comes to sales numbers, there’s good news for Apple as the iPhone became the highest-selling tech product this year, such that the number of units sold is greater than the rest of the top 5 put together. GBH Insights analyst, Daniel Ives, says that by the time we hit the new year, Apple would have sold 223 million phones. As per Ives’ data compiled for USA TODAY, this is a 5% surge from the 211 million units sold last year. This chart combines data of all the available iPhone models including the iPhone X, iPhone 8 and 8 Plus, iPhone 7 and 7 Plus, 6s and 6s Plus and SE, not to mention the different SKUs within each. While Ives’ analysis does not disclose numbers, other reports by Consumer Intelligence Research Partners (via 9to5Google) and The Register broadcast poorer iPhone X sales than iPhone 8 and 8 Plus, and 7 and 7 Plus. This is contrary to the expectations of many analysts including Toni Sacconaghi who anticipated a “supercycle” of iPhone upgrades. Irrespective of this, Ives foresees a brighter 2018 for Apple, courtesy a rumoured spring launch of the updated iPhone SE followed by the next-gen flagships later during the fall. Ives expects at least 350 million of the iPhone users to upgrade their phones, besides new customers. This means higher sales than even Apple’s peak in 2015 (230 million). The spots for runners-up were filled by Samsung Galaxy S8 series combined with Note 8. Ives also notes that in total, Samsung sells much more phones than Apple, owing to its vast catalog of products. Further, he cites the rise of voice-based computing with Amazon’s Echo Dot grabbing the third spot in the list, especially due to the holiday discount of 40% which drove the smart speaker’s sales to 24 million. Apple Watch and Nintendo Switch occupied the fourth and the fifth spots, painting varied interests of tech enthusiasts. Cheers to you if you own any of these marvelous gadgets! Meanwhile, you can check out our pick of the top tech in 2017.